Are you considering applying for a personal loan in Canada? It can be tempting to secure some extra cash to help finance a fun vacation or your dream wedding. In reality, though, negative effects can occur in the short and long run if you don’t take the necessary steps and precautions. 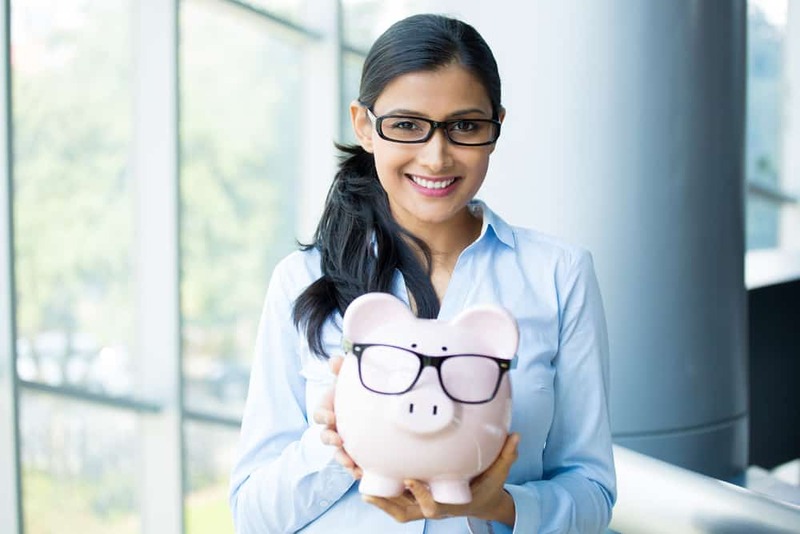 In order to be a brilliant borrower who enjoys all the pros of a loan and none of the cons, you need to know how to use personal loans to your advantage. And we know just where to start. Here at LendingArch, we know what it takes to use personal loans in the right way. It all starts before you even begin applying for loans. The secret weapon that helps anyone prepare to open a line of credit is the loan calculator. It is a special type of calculator that is designed to help you decipher how much your monthly payments will be on any loan. It can also help you see what interest rates are best suited for you and approximately how long it will take to repay the loan (and how much you’ll end up paying in the end). Whether you’re looking for personal loans or business loans, this type of calculator can give you the knowledge you need to make an informed decision on whether to move forward with a loan or not. While having access to more money always seems like the best option, a loan calculator like LendingArch’s can shed some light on how that financial decision may impact your finances in the future – and for how long. But smart borrowing goes deeper than simply making sure you are applying for just the right amount of money. Here are our 5 tips to help you be the best borrower possible. At LendingArch, we understand that you want the best deal and interest rate on every loan or credit card that you obtain. And we want that for you, too! Using LendingArch to find and compare loans allows you to clearly see your options and gives you the opportunity to make an educated decision. But more than saving you some major cash over time, a better rate helps you be a better borrower. With more options (like, for example, being able to compare whether you want the lowest rate possible, or a higher interest rate but fewer payments that result in an overall loan amount in the long term), there is a greater chance that you will be able to make your payments month after month, on time (or, heck, maybe even early). Plus, each on-time payment will be reflected on your credit history, driving down the rates of your future personal loans. If you use personal loans the right way, you can boost your credit. How? With careful planning and willpower. Don’t just pay your loan on time, but pay a little extra toward it every month. Even if that is just $15 more than the minimum, you can greatly impact your credit and pay off your principal balance faster. With the LendingArch car finance calculator, you can see what your projected monthly payments will be. This allows you to get a clear understanding of what your repayment amounts will be and thus, you can go ahead and plan how to fit them into your monthly personal budget. We recommend finding one that is slightly lower than your monthly threshold. By having personal loan repayments that are lower than this threshold, you have a safety net in place. In the event that an unforeseen circumstance negatively impacts your finances, you won’t find yourself with severe money troubles. Then, you can set up auto-pay and have peace of mind knowing that you are paying off debt and building your credit at the same time. Make sure not to go overboard when applying for personal loans Canada. This applies not only to the amount of money you take out but also the number of applications you submit. Multiple hard inquiries on your credit over a short period of time causes a red flag on your credit score and can result in a lower credit score and even future denials. Rather than applying for several loans, with no guarantee or reassurance of acceptance rates, we aim to provide you with the information you truly need to make your decision. By inputting a little bit of personal information – like your income, monthly expenses and the reason you need financing – you can easily compare multiple loans and rates. LendingArch allows you to see the difference in rate percentages, as well as what loans you’re most likely to get approved for – without ever making a hard inquiry. Before jumping into any personal loans, make sure you understand the terms of the loans. Is there a fee if you pay off the loan earlier than expected? Never assume that the terms of a loan will be the same as other personal loans you’ve had. Make sure you read the fine print! We do our best to ask lenders the important questions for you. It’s important that you understand exactly what you’re getting into, so we break down the terms of multiple loans in an easy to understand way. But should have you have any questions, don’t hesitate to reach out to a customer service representative. We know, it can be tempting. You want to take that amazing vacation, go on a huge shopping spree or plan your fantasy wedding. We’ve said it a few times now, but don’t take what you don’t need. … you should only take a loan out for the amount you need, and not a penny more. These are all good reasons for taking out a personal loan in Canada, but unfortunately, that Maldives vacation is not. For non-essential purchases, consider setting up a savings account that will give you interest on your balance. Yes, you might have to delay a few luxuries (like your Summer vacation). But you’ll be able to enjoy your vacation even more knowing that you won’t be paying it off for years to come. It is true. When done the right way, you can truly use personal loans in Canada to your advantage. If you start borrowing more than you truly need, though, you can easily put yourself in more debt. Even missing just one payment you could find yourself paying more than you can afford or paying extra interest. Neither of these things are ideal and could pile on preventable debt, which is why you need to know how to manage auto loan payments as part of your household budget. That’s why we share the information and tools that you need to make informed financial decisions. At LendingArch, we only do what we think is best for you. You’ll never be rushed into an offer, forced into applying for a loan that isn’t suitable for you, and no unnecessary credit inquiries will be made on you. Are you ready to be a brilliant borrower? Answer a few simple questions, use our loan calculator to see projected payments and payoff amounts, and be paired with your perfect personal loans today! Perhaps you want to get your hands on a car loan? We can lend a hand with that too! Similarly, use a vehicle loan calculator to see the monthly payments you’ll likely be paying and you’ll have taken the first step towards getting your new car.